BARBUSA holds a very special place in my heart. It was the second restaurant I branded, so it was a big deal that I had gotten them as a client. I met with PJ and Joey Busalacchi, and their Dad at Po Pazzo, which would become BARBUSA months later. We sat at a booth towards the front, where I still always sit when that table is available. The meeting took place around noon on a bright, sunny day. Construction had started already so it was really dusty in there. The brothers told me about the family’s Sicilian heritage and their history in San Diego. They described their vision for the new, rebranded restaurant. 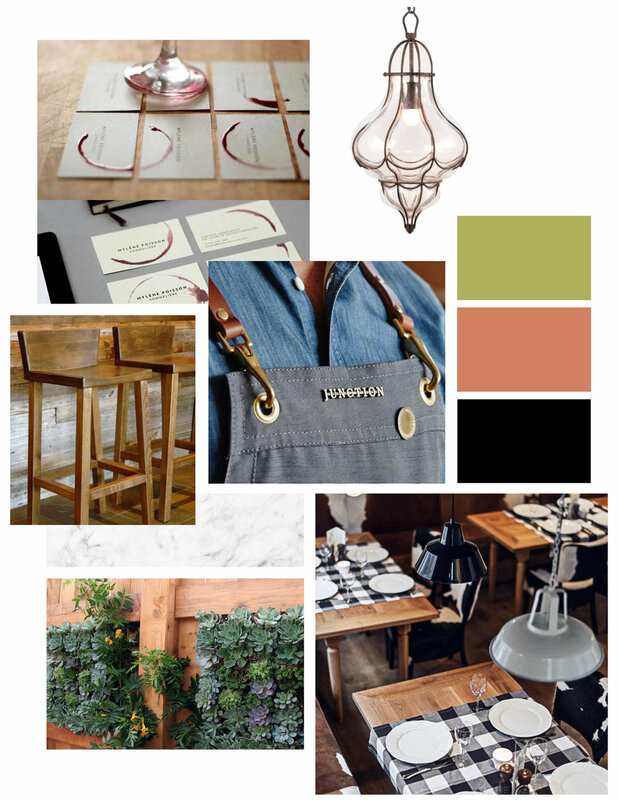 They showed me some images of ideas they had for furniture, a living plant wall, and checkered tablecloths. I went home bursting with excitement about the project. For the next few weeks, I worked on the brand identity and menus in my living room, where I did all my projects at the time. 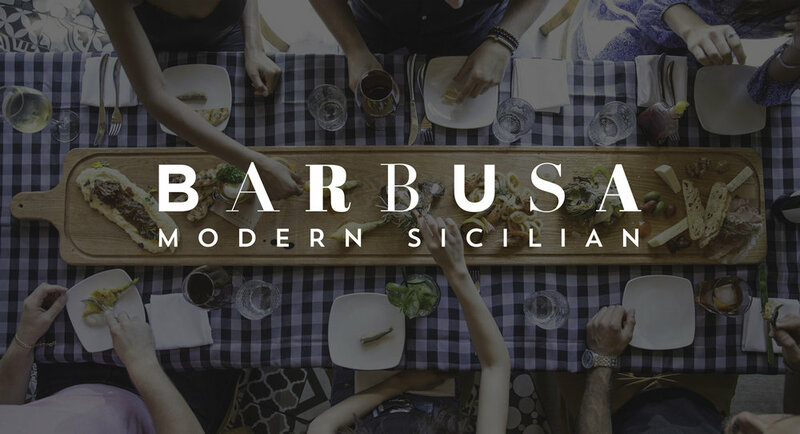 Fast forward a couple months to the soft opening of BARBUSA. Walking up to the restaurant for the first time was magical for me. I looked up and saw the logo I had designed in big, black glossy letters, which looked terrific against the freshly painted white building. The restaurant turned out exactly how the brothers had described it, yet somehow better. 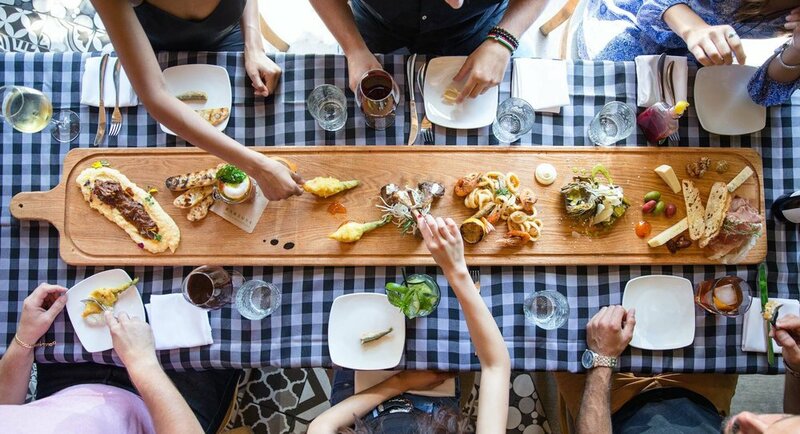 To understand BARBUSA’s charm, you really have to eat there. It’s dark and cozy and the fragrance of food makes your mouth water. The waiters—who are always Sicilian—are very friendly and knowledgable. The food changes but it always exceeds my expectations. I especially love the crudo bar and the pastas, which you can see them making from scratch at the back of the restaurant. I always ask my server for a wine recommendation, which never disappoints. 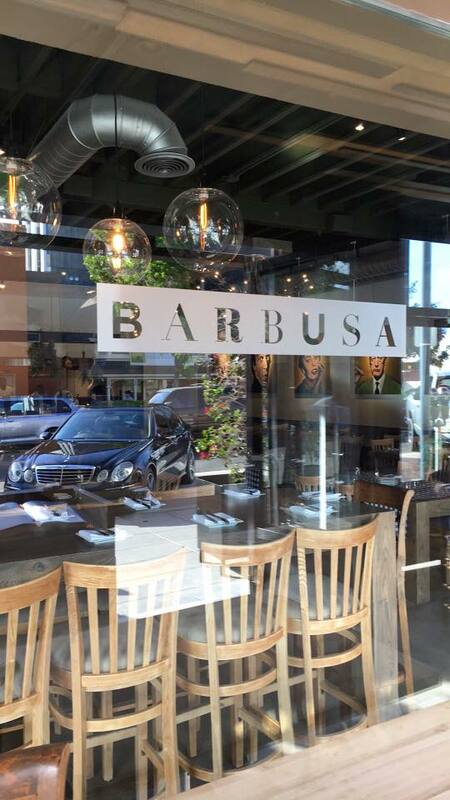 Visit BARBUSA in Little Italy at 1917 India St, San Diego, CA 92101. Tell them Gretchen sent you!